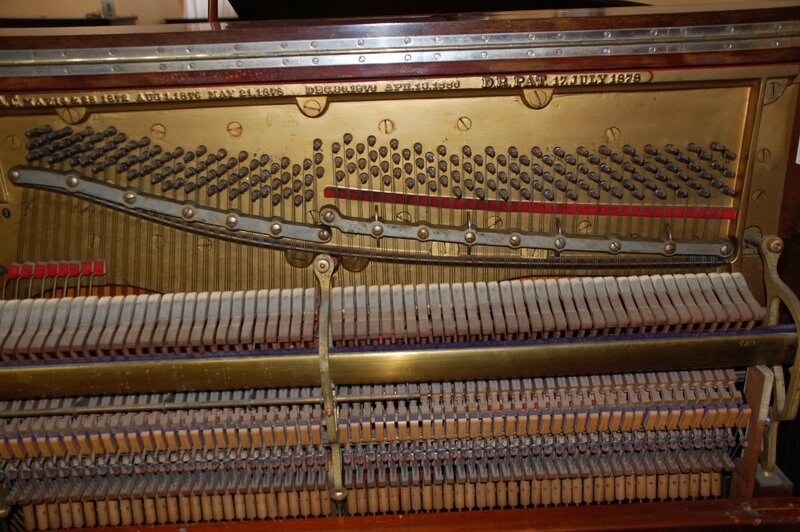 A customer has sent this very interesting 1891 Steinway for restoration work. It is almost 100% original, as no parts have been replaced or modifications made. 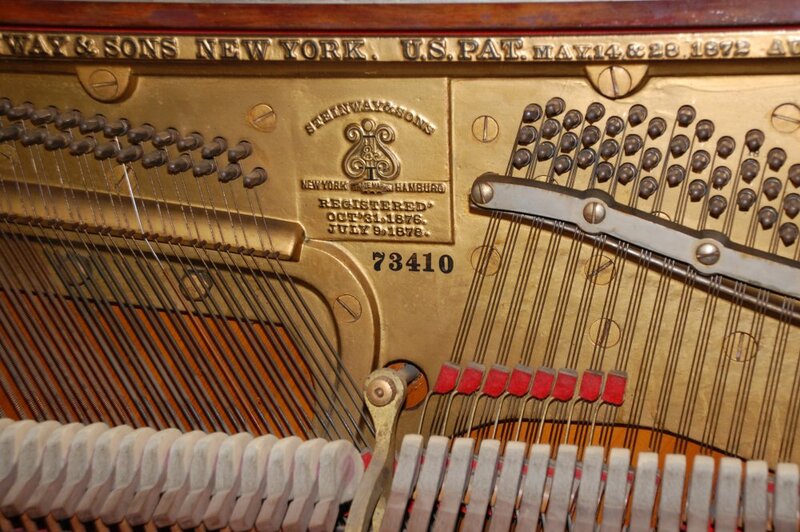 1891 was a transition time for Steinway uprights, with the Victorian models updated, and the more modern uprights just beginning. 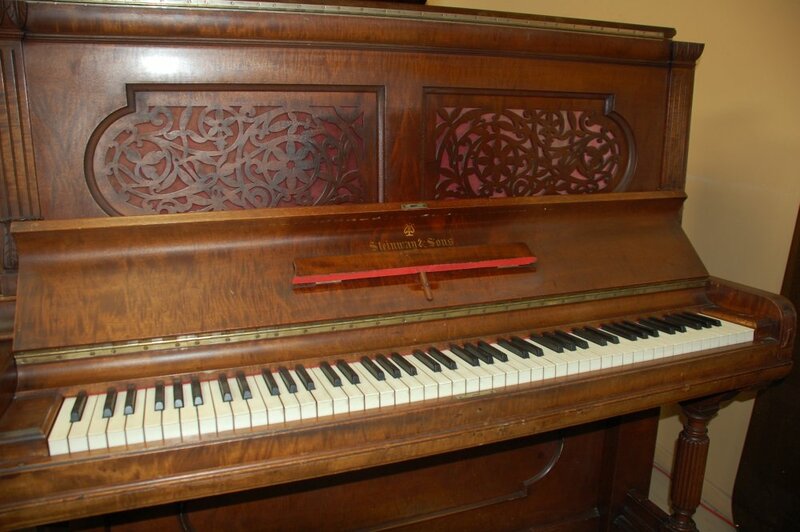 Since 1890, they stopped using Rosewood veneer as the default, and this one has high quality mahogany. It also has a proper working sostenuto pedal. Our goal is to leave it as original as possible with no changes to the factory workmanship or design.